The rocket standing on the pad at Space Launch Complex 41 is an Atlas V 541 configuration, one of the most powerful rockets in the Atlas V fleet. 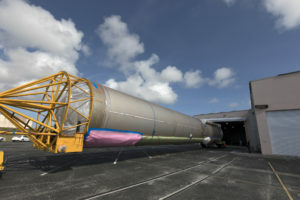 The 541 designation means this rocket has a payload fairing, or nose cone, that is approximately five meters wide, four solid-rocket boosters fastened alongside the central common core booster, and a single engine on its Centaur upper stage. Booster propulsion is provided by the RD-180 engine system, a single engine with two thrust chambers. The RD-180 burns Rocket Propellant-1 (RP-1), a highly purified kerosene, along with liquid oxygen. Four solid rocket boosters generate the additional power required at liftoff, each providing 348,500 pounds of thrust. The booster is controlled by the Centaur second stage avionics system, which provides guidance, flight control and vehicle sequencing functions during the booster and Centaur phases of flight. An Atlas V 541 rocket launched NASA’s Curiosity rover Nov. 26, 2011 on its 10-month, 354-million-mile journey to the surface of Mars. The single-engine Centaur upper stage is a cryogenic vehicle, fueled with liquid hydrogen and liquid oxygen. The two-piece payload fairing that protects the GOES-S satellite tops the vehicle. 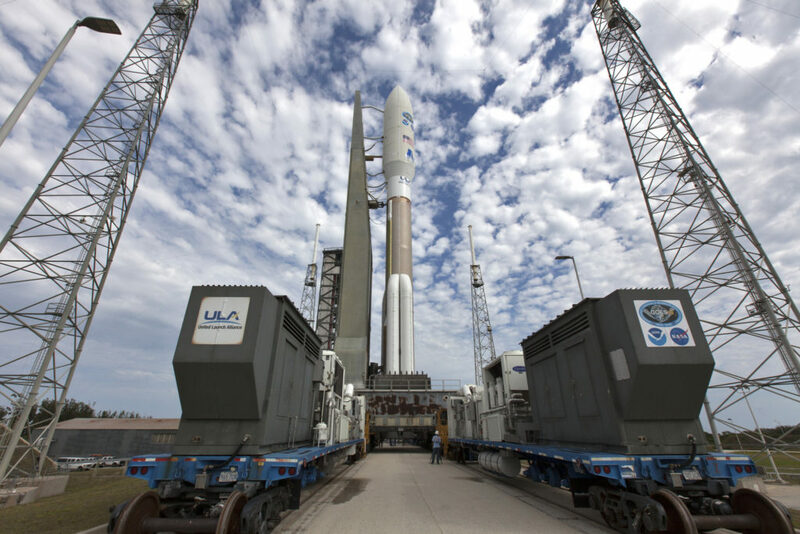 The latest weather update from meteorologists with the U.S. Air Force 45th Space Wing is now at a 90 percent chance of favorable weather today for liftoff of the Atlas V rocket with NOAA’s GOES-S satellite. 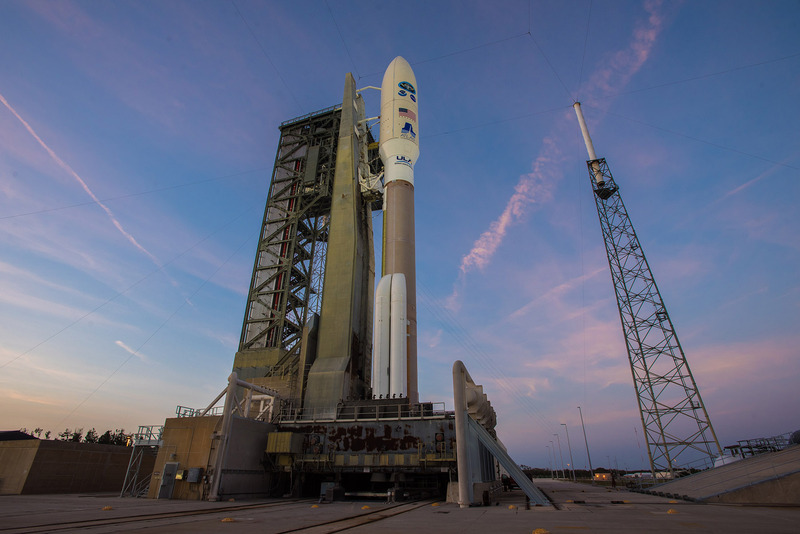 The rocket is slated to liftoff at 5:02 p.m. EST. Watch the GOES-S NASA Social Briefing live on NASA TV at 11 a.m. at https://www.nasa.gov/nasalive. With only two days remaining until the scheduled launch of NOAA’s GOES-S satellite, launch and mission managers are gathering at NASA’s Kennedy Space Center to provide briefings on launch status and the science aspects of the GOES-R series of advanced weather satellites. A prelaunch status briefing will be held at 1 p.m., followed by a science briefing at 2:30 p.m. Both briefings will be held at Kennedy’s Press Site TV Auditorium and air live on NASA Television and the agency’s website. 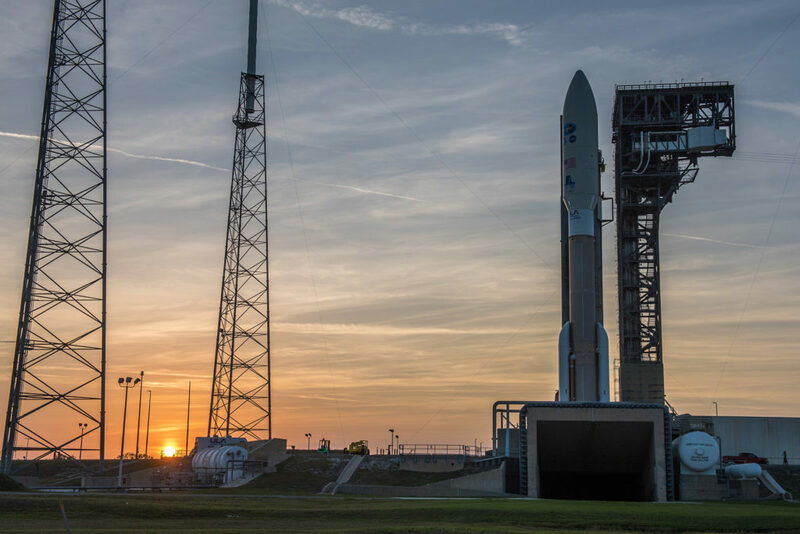 Meteorologists with the U.S. Air Force 45th Space Wing are predicting an 80 percent chance of favorable weather for liftoff of a United Launch Alliance Atlas V rocket carrying NOAA’s GOES-S satellite. Launch is scheduled for March 1 at 5:02 p.m. EST from Space Launch Complex 41 at Cape Canaveral Air Force Station in Florida. On launch day, the primary weather concern is cumulus clouds. With its March 1 launch date closing in, the next in a series of advanced geostationary weather satellites is in place for liftoff. 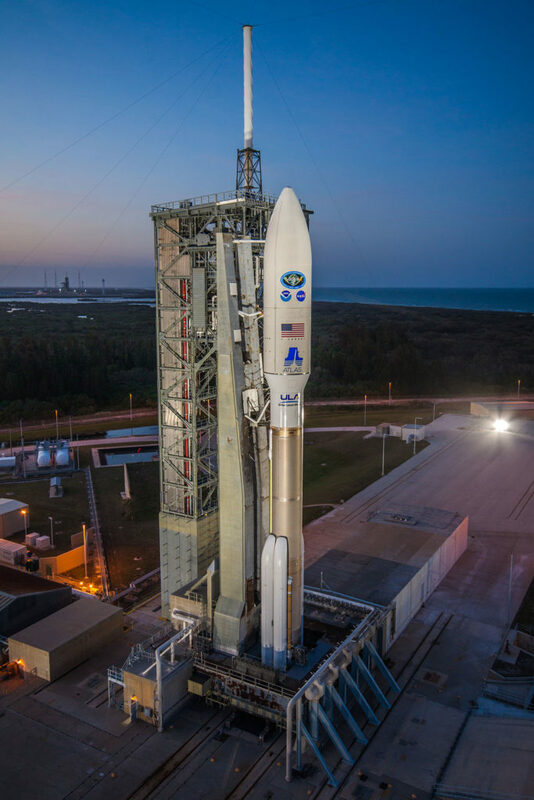 NOAA’s Geostationary Operational Environmental Satellite (GOES-S) will be delivered to orbit aboard a United Launch Alliance Atlas V rocket from Space Launch Complex 41 at Cape Canaveral Air Force Station in Florida. With the Atlas V booster already in place, teams recently attached four solid rocket boosters and lifted the Centaur upper stage into place. 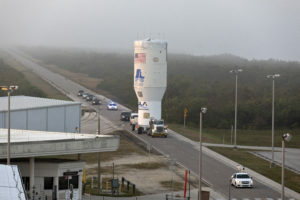 Finally, the GOES-S satellite, secured inside the Atlas V payload fairing, moved from its processing location at Astrotech Space Operations in Titusville to the launch complex, where it was carefully raised into position atop the assembled rocket. GOES-S is the second in NOAA’s GOES-R series of satellites. All are designed to significantly improve the detection and observation of environmental phenomena that directly affect public safety, protection of property and the nation’s economic health and prosperity. 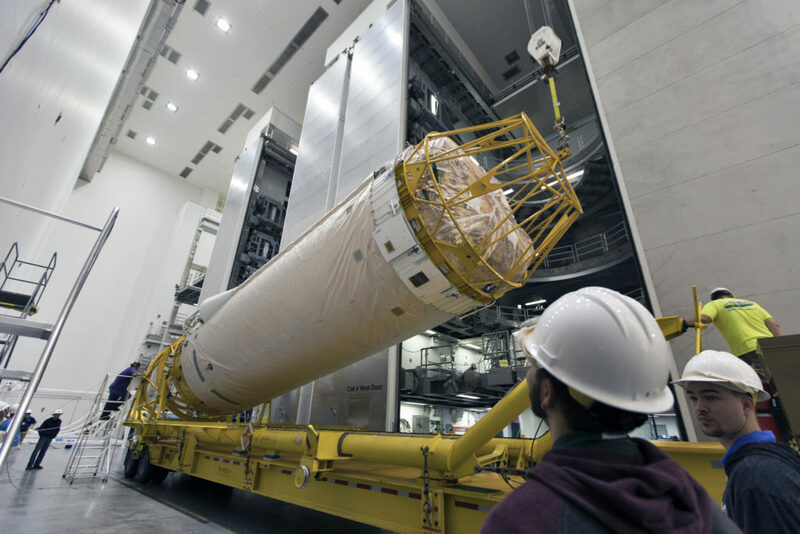 The Centaur upper stage, part of the United Launch Alliance Atlas V rocket that will help launch NOAA’s Geostationary Operational Environmental Satellite-S, is in place for prelaunch processing. 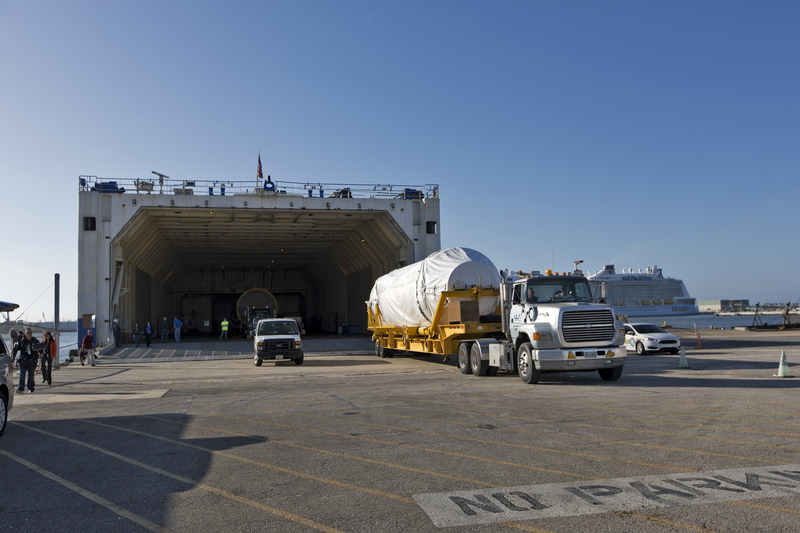 The Centaur arrived at the Delta Operations Center at Cape Canaveral Air Force Station on Jan. 24, two days after its delivery by ship to nearby Port Canaveral. 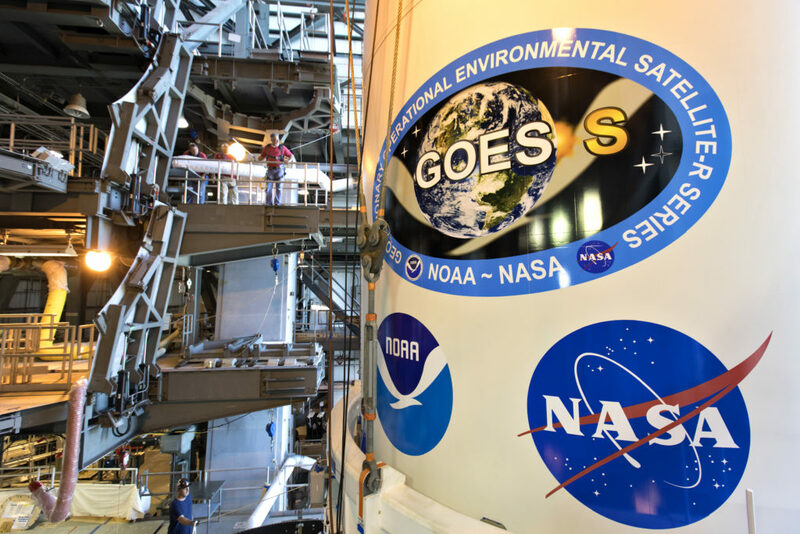 GOES-S is the second in a series of four advanced geostationary weather satellites. 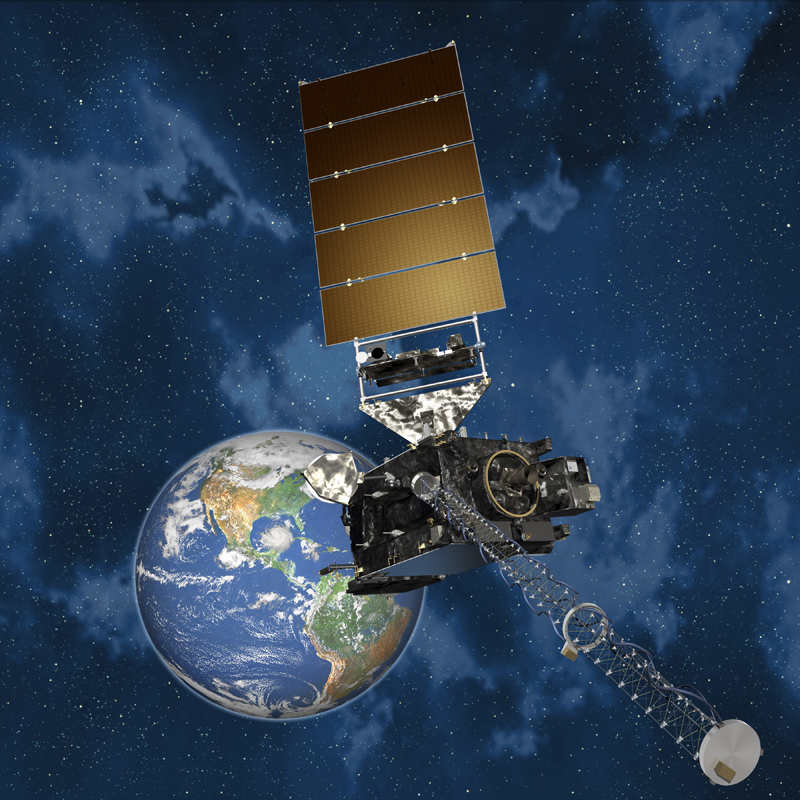 The GOES-R series – consisting of the GOES-R, GOES-S, GOES-T and GOES-U spacecraft – will significantly improve the detection and observation of environmental phenomena that directly affect public safety, protection of property and the nation’s economic health and prosperity. 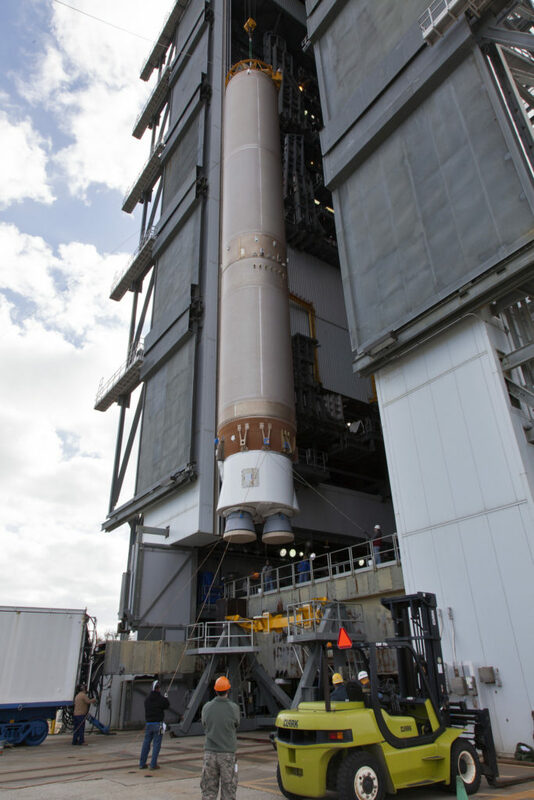 GOES-S is slated to launch aboard the Atlas V rocket March 1.